Farrah Fawcett skateboarding on set of ‘Charlie’s Angels,’ 1976. Farrah Fawcett and her make-up artist! 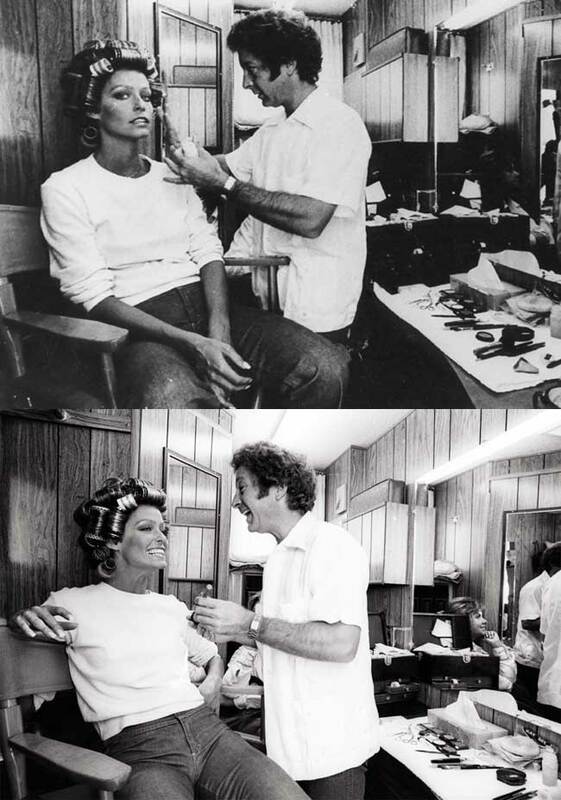 Farrah Fawcett with makeup artist Mel Berns Jr. in her trailer on the set of Charlie’s Angels, 1976. Posted on January 31, 2015 January 30, 2015 Categories FebruaryTags 1976, Charlie's Angels, Farrah Fawcett, Mel Berns Jr.Leave a comment on Farrah Fawcett and her make-up artist!